Well I've been in two minds about creating this thread for a few reasons, mainly because I'm quite a way down the line now and I couldn't be bothered putting it all together and also because after my last round of mods I received a lot of criticism on various forums (including this one). Anyway I was asked to write an article on my progress so far for a magazine a couple of months ago so I now have something I can post to sort of get me up to date (this article has been edited so as not a copy of the one printed). 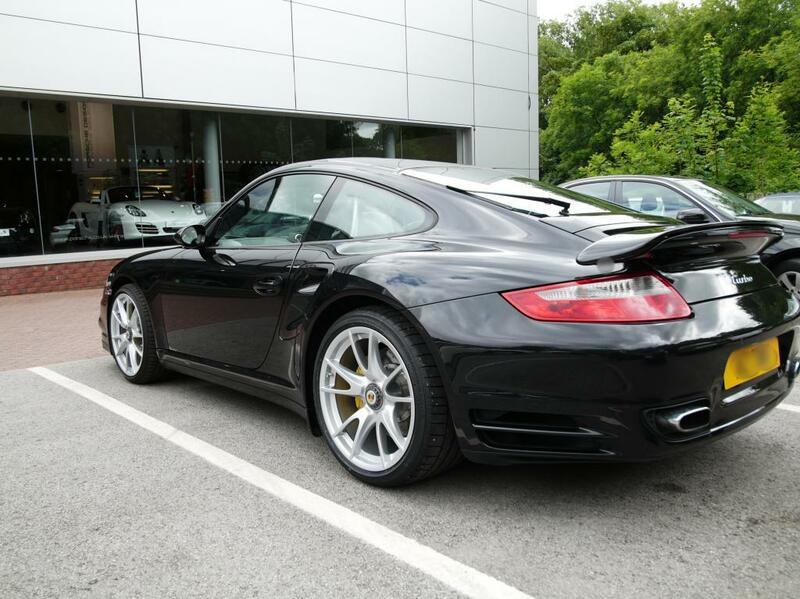 So anyway, the plan is simple, take my fantastic 997 Turbo bought in 2013 with 14,000 miles on the clock from Stratstone in Wilmslow and turn it into a car to rival possibly in my opinion anyway the best Porsche ever made (I said possibly, don't hate me). I say I'm quite a way down the line but looking at photos of the car it still looks almost standard. I never knew when I started how much it was going to cost. I worked out prices and so had some sort of idea but there were so many things I overlooked that those figures whilst already in the stratosphere, no way near the real amount it would cost. Also I thought I'd have it done in about two years, but I know now that is not likely (as it's already been 18 months to get here), unless I get an unexpected influx of casheesh! Anyway hope you enjoy the thread. I have had two major sessions of mods so far, and I have another lined up for next week at Tech 9 in Liverpool. 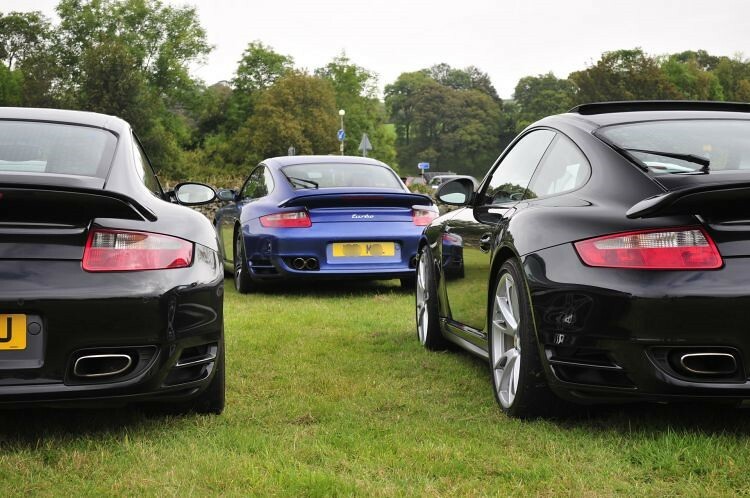 This article was written for a non Porsche magazine. Choosing the ultimate Porsche to own would be an easy task – the most powerful road going car ever produced by Stuttgart’s finest: the mighty GT2RS. However as every car made on the limited run of 500 were sold before they had even started cutting metal, it would be rare that one ever came up for sale. And when you consider the eye watering price tags placed on any that do come onto the market, it seems impossible to realise the dream. Also the 611HP rear wheel drive monster can be a handful and drivers with much more talent than I have said it could take years of ownership to learn how to tame the beast. There has to be another option for us mere mortals? Fear not, there is such a car. 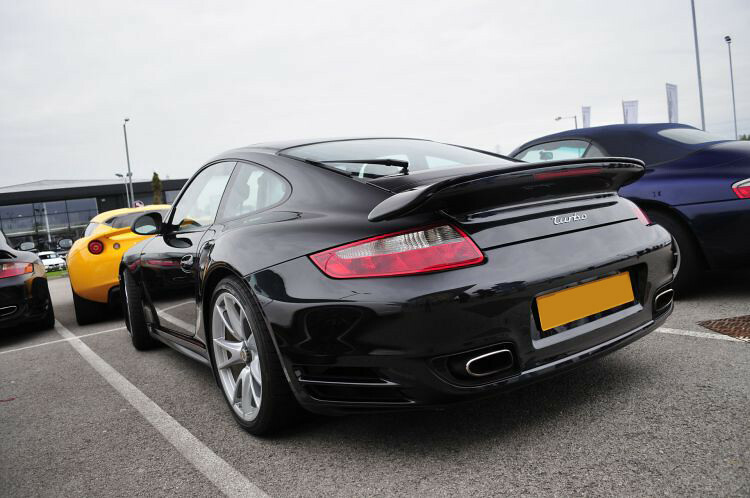 A car that also comes with a Mezger engine, twin turbos and the addition of possibly life saving four wheel drive – the 997 Turbo. OK so it’s down on power to the GT2RS at a mere 478BHP, but still that’s nothing to sniff at. Still within a whiskers width 0-60 time of 3.7 seconds and easily modifiable, it’s a great second best that gets you in a similar car for a fraction of the price. And yes the styling is tame in comparison; a bit like images of stars with and without makeup in Hello magazine. However half of the ingredients are there that make up the range topper, how expensive could it possibly be to make it look and perform like the real thing? The search was on. 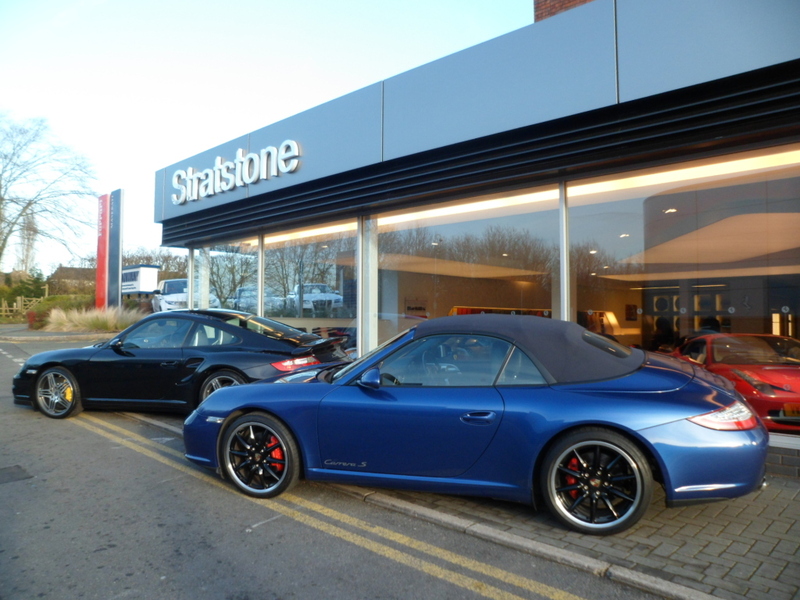 After owning three Porsches, (two Boxsters and a 997 Cabriolet), I would get what I believe will be my final Porsche, the car I would never sell and keep until my body was tool frail to drive. And after a few months of searching I found the right car in gleaming black with the right spec: Low mileage, first generation with the revered Mezger power plant, manual gearbox (of course), PCCB Ceramic Composite brakes, and in unmolested condition. When the decision was made to go down this route there was one issue that initially looked to be impossible to work around: the wheels. As the centrelock wheel system on the original car was not available on the first generation cars it would be impossible to create a truly exact replica. 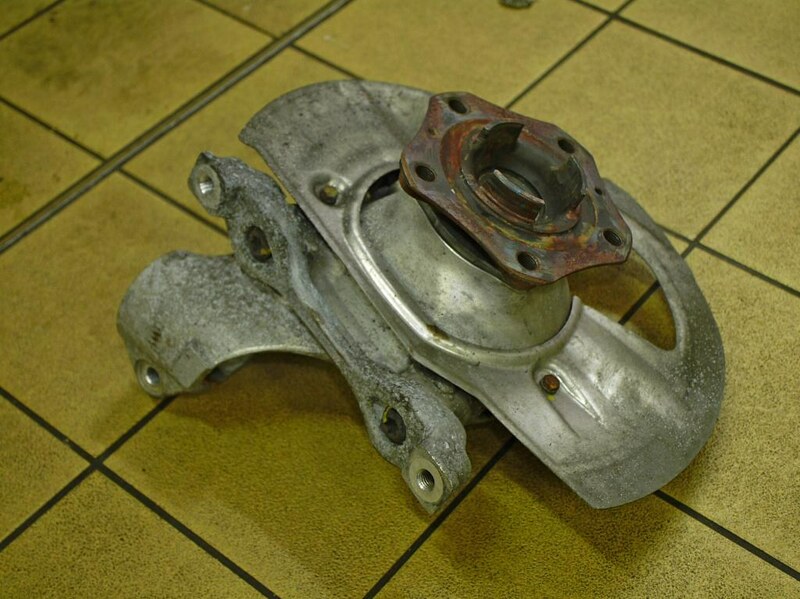 However after a lot of late night research, and even after being told (by a Porsche Dealership) it wasn’t possible to have a conversion done on a five-stud car, I discovered there was a Porsche centrelock kit available. The kit was duly ordered and calls were made to a few places about getting the conversion carried out. 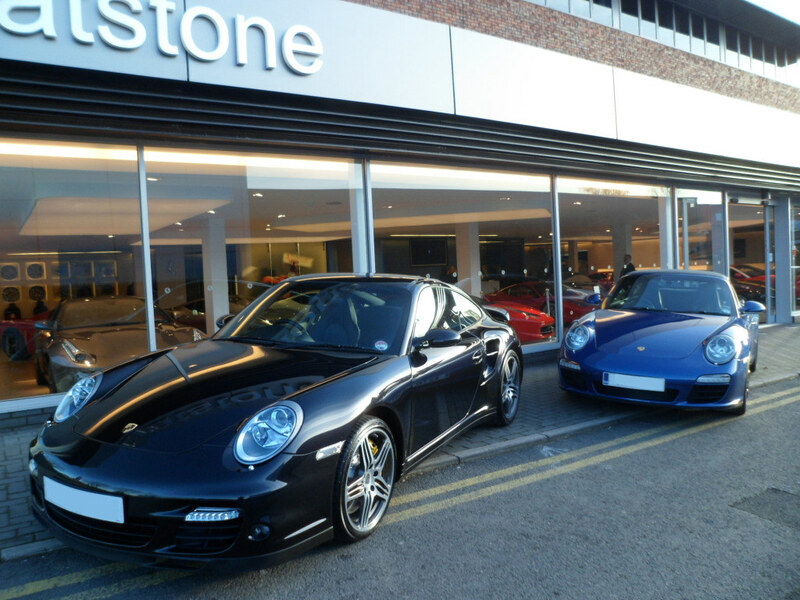 Surprisingly the cheapest quote was from a Porsche Dealership: Stratstone Porsche, Wilmslow (beating two Independents). 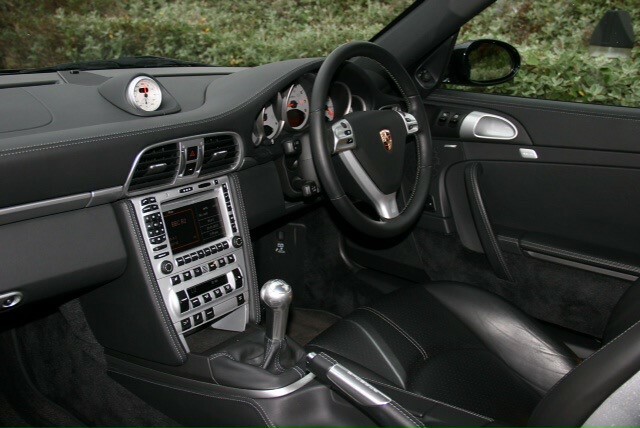 However it was academic, there was never any chance I would use anyone other than a Porsche Dealer because of the potential centrelock issues. 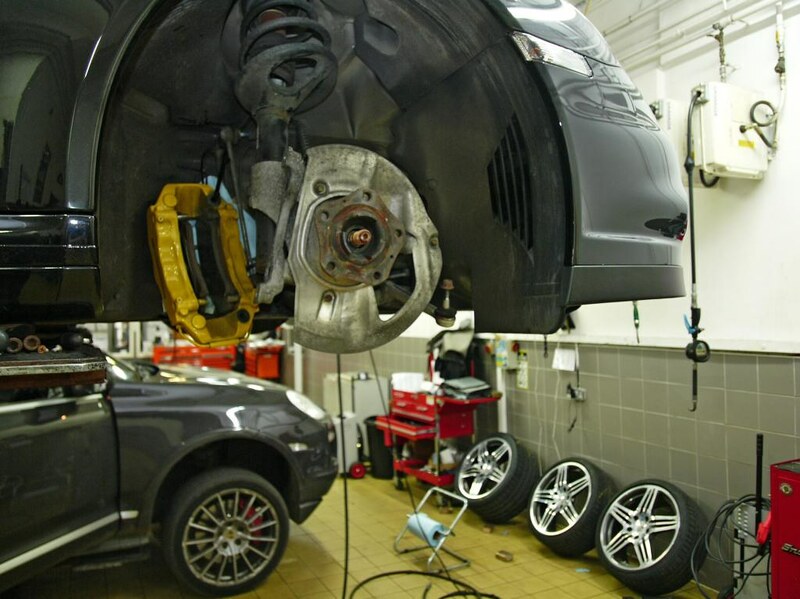 In 2013 cars that had been fitted with the CL system from the factory had been involved in accidents, caused by a malfunctioning of the CL system. However this happened to only a handful of GT3RS track focused cars. To remove the possibility of Porsche saying that my kit was incorrectly fitted my conversion would be carried out by Porsche themselves. 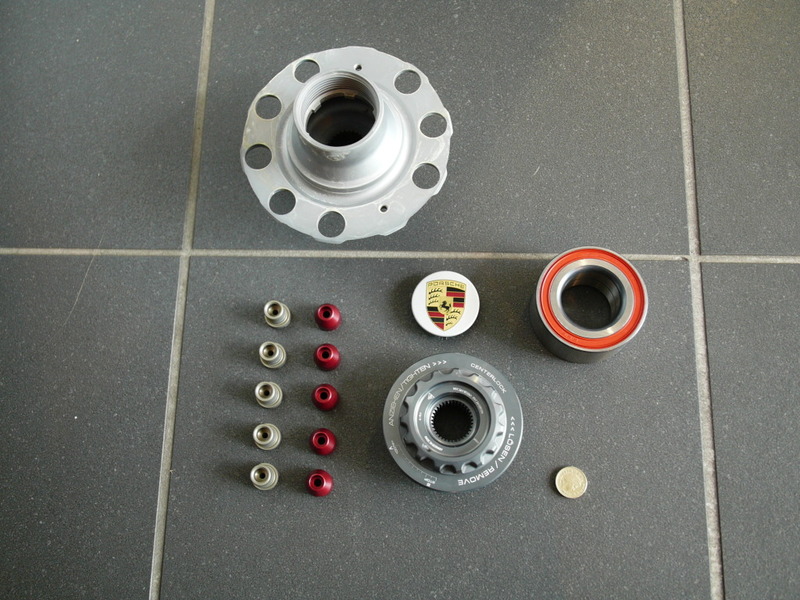 Also to go on the new hubs would be a set of genuine GT2RS wheels. Turning my new black beauty into a convincing replica of the ultimate RS was going to be more expensive that my initial calculations had predicted, and that meant it would also take longer than I had originally planned. 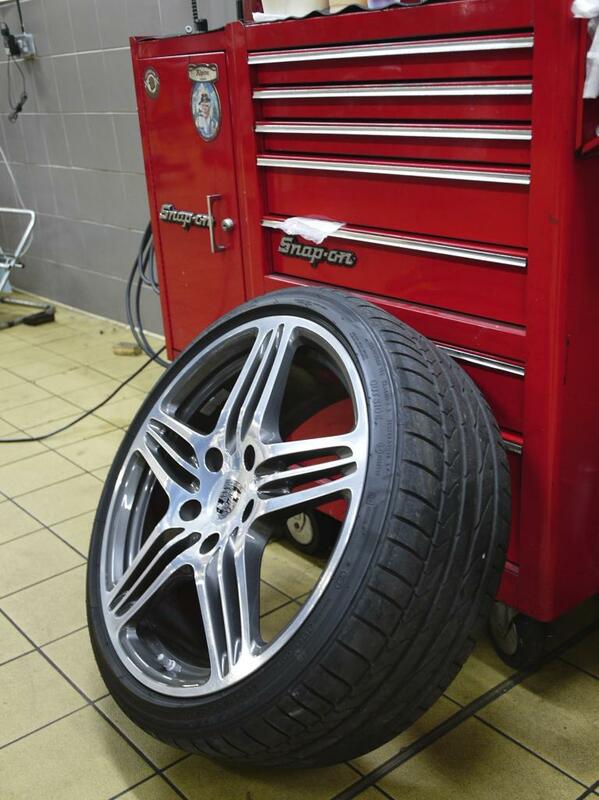 Just the wheel conversion alone cost over £5,500 including the cost of the wheels. The body conversion planned would consist of front and rear bumpers with massively expensive carbon parts, carbon bonnet, front wings and wing extenders, carbon air intakes, and the final and by far most expensive part of all, the rear engine cover and rear wing. To purchase a new engine lid and wing from Porsche new would mean having to hand over a staggering £15,000 +painting and fitting! Luckily many of these parts can be found on the second hand market for much less although still costing wallet-busting amounts. Wheels have a huge impact on the look of any car, and after the CL conversion was carried out the car now sported those magnificent wheels. However now the ride height was blatantly too high. I really didn’t want to change the suspension set up, the ride is the best compromise between handling, practicality and comfort. Although to achieve the look desired some sacrifices would be made to comfort and practicality, but in turn the car would gain better handling. The kit opted for was the TechArt lowering kit: A spring only kit that lowers the car by 15mm and is designed to work with the standard dampers. The kit literature boasts ‘near stock ride quality and compliance for street use,’ so translated the ride would be more firm. The turbo has a ride quality and height, which is, pretty much perfect for every day use, so changing it could really mess up a good thing. 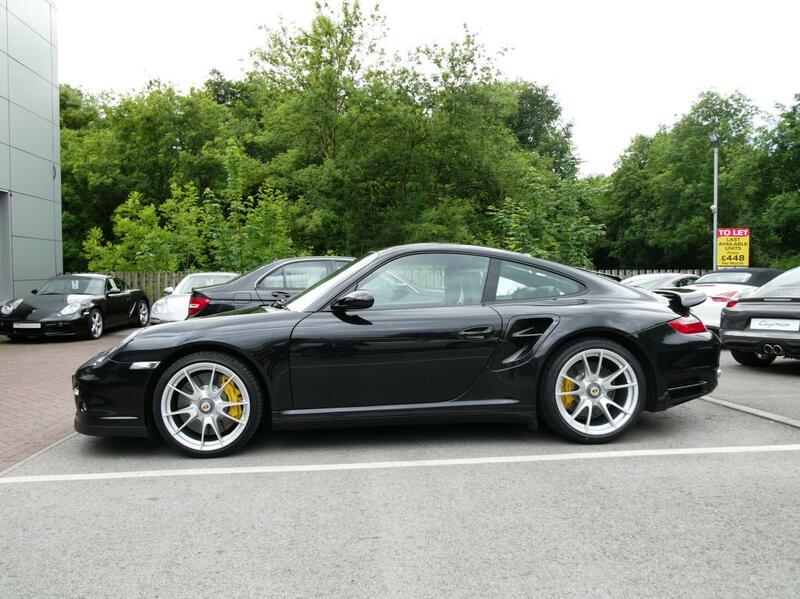 But it needed lowering if it was going to sport the GT2RS look. 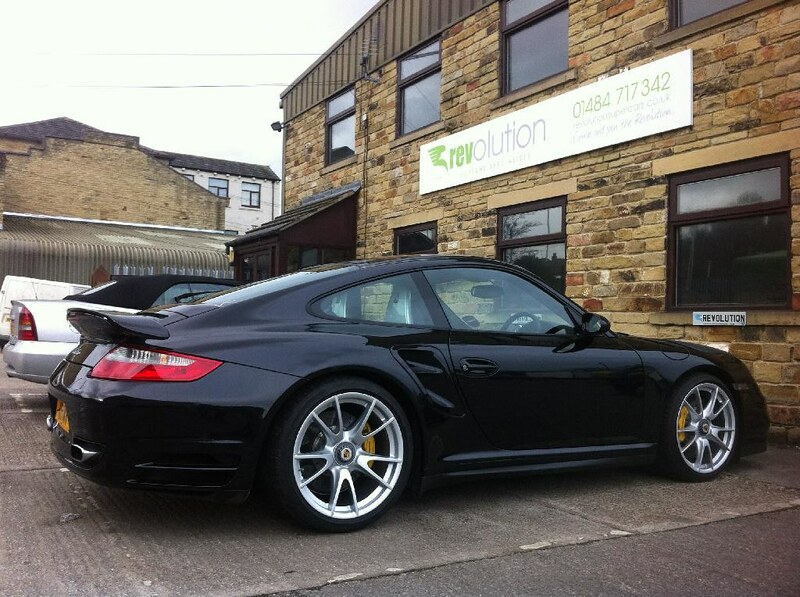 So off to Revolution Porsche in Brighouse; also to fit the GT2RS side skirts, which although a pretty minor change do make a big difference in the looks department. Sitting in the waiting room I pondered how PDK could be short for Doppelkupplung, but before I had a handle on it the work was completed. Ride was a little stiffer than before but after a few days of driving I couldn’t even notice any difference. Starting to look more like the car of my dreams! The mirrors were a high priority as the gen1 mirror is tiny and the previous car had the newer, bigger mirrors and these just had to go. 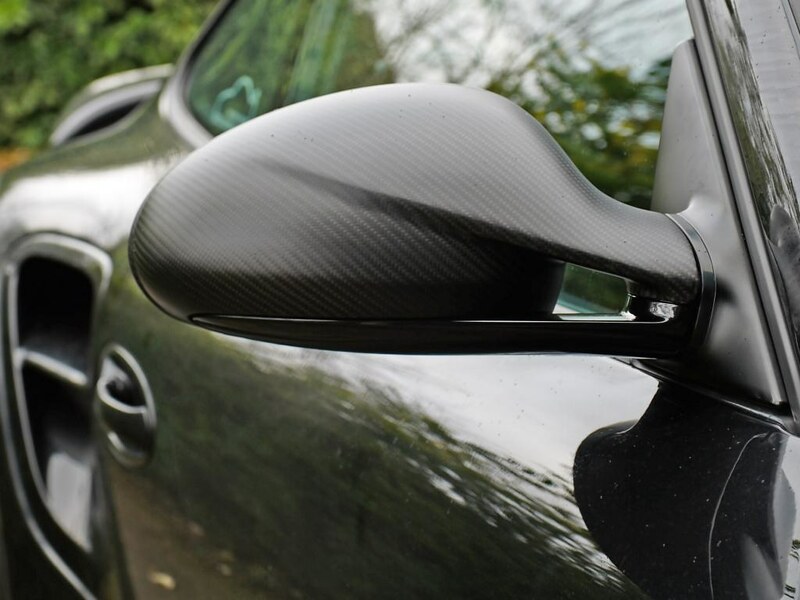 Made from carbon, the bigger, better incredibly expensive mirror was quite the quest to get sorted. 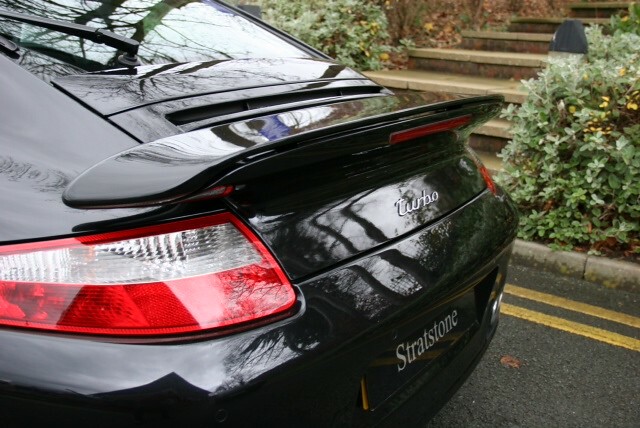 Quotes from Porsche were an eye watering £1,800 for the pair so I sourced a pair from a German company that fabricates carbon parts. The mirror glass, was also extremely expensive as they are the auto dimming type, and came in at £320 each. The bottom part of the mirror housing is painted in the body colour; I already had these left over from my old car so they only needed painting. What’s next? Well now that I know the body conversion is going to take longer than I had planned (maybe a year longer, possibly more), I decided to have the power increases done sooner rather than later. Enter Kline Innovation exhaust, a BMC air filter, GT2RS intercoolers and the magic of DMS Automotive tuning. 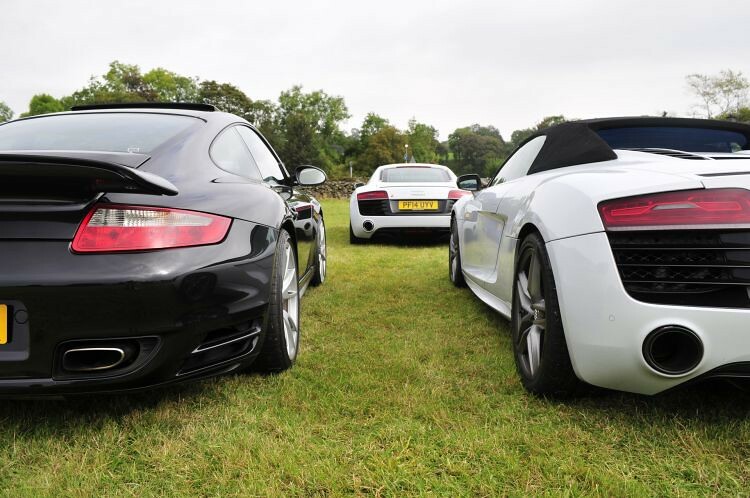 Combined they are quoting 600+BHP, only time and a boatload of cash will tell! Love it and wheels really set the car off. 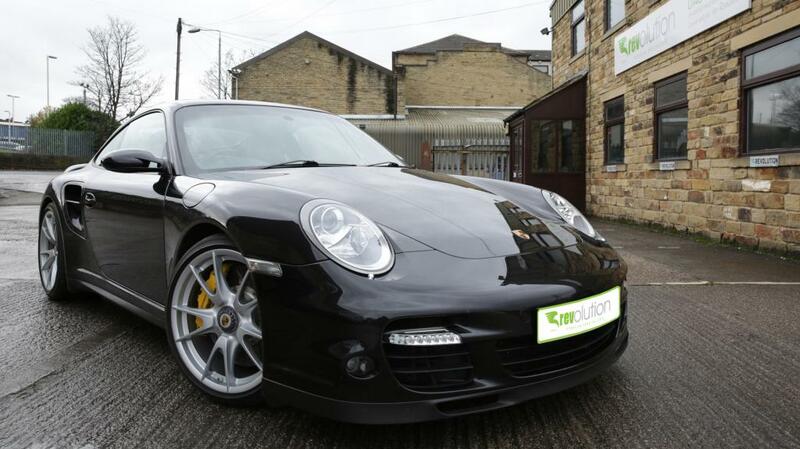 Seems like a relatively cheap mod for £5500 IMO thought it would be nearer £10k knowing usual Porsche tax. Amazing they seem so cost effective for beautiful forged alloys and a few plastic bumper bits probably cost £25k inc fitting if you go OEM and thats without the carbon hood! Priced it up all myself but man maths couldn't even help me out! When its finished it will be a mother! Well the CL kit was £1250 from Porsche. And it was 3 hours labour per wheel but the did the whole job for £2500 including cost of the kit which was cheaper than two Indi specialists quoted! Shows you how lost I am, I thought that was reasonable! Well on the scale of things it was a job well done. Pretty happy with the pricing especially as it was lower than other Indies. At the time of doing it there was all the hoopla about the CLs failing so I was worried if I had issues they wouldn't want to know. Well it does look great and sets the car off nicely. 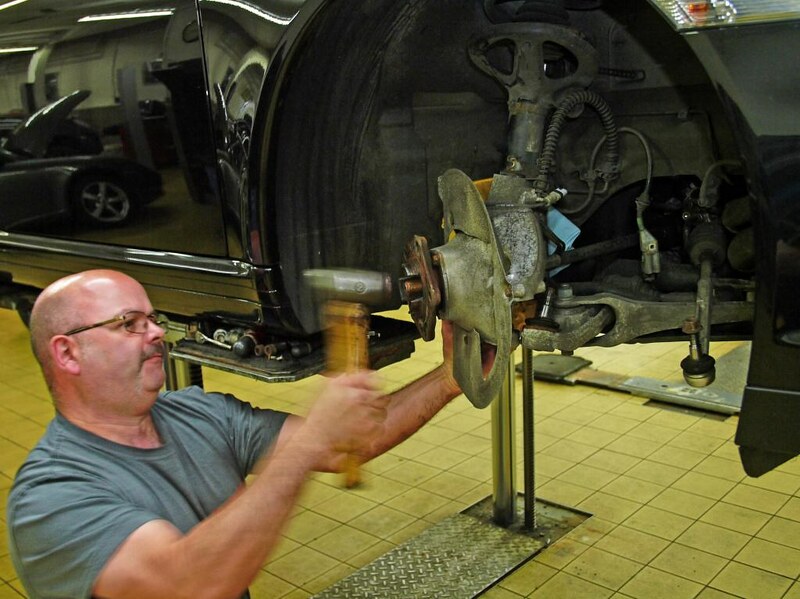 Looking forward to seeing more, are you able to remove the centre lock nuts yourself? I can't imagine halfords will sell a socket for those! Kit includes a socket! Never had reason to remove one. I don't have a torque wrench anyway so I wouldn't be able to remove them as I wouldn't be able to torque them afterwards. Lookin great....and a good interesting write up. do i call you loads a cash!! We'll you know what I think , superb. Fantastic looking car Isysman. Looking forward to the updates! Unfortunately the kit is not. 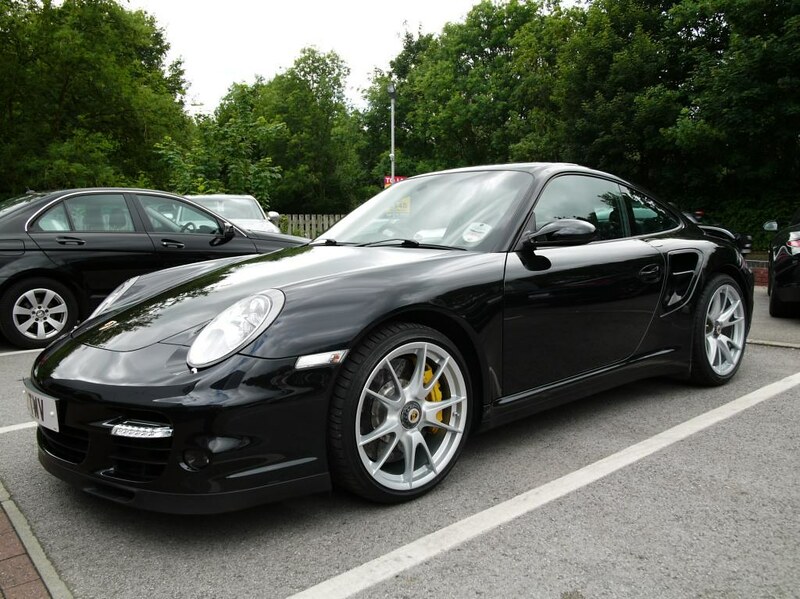 In fact this kit is only compatible with the 997 Turbo not even other 997s at least according to the literature. There re two kits, one for PCCB and one for standard discs. I understand the non PCCB kit includes replacement discs. Do you know what is different about the replacement disks that comes with that kit? Are they PCCB's? The kit for my car (with PCCBs) was like in the photo I have in my thread. There's a couple of parts missing from that photo as I hadn't unwrapped all the parts when I took it. Main part missing is the bearing. There are no replacement PCCBs as that would be too expensive and it's not required. I was told that the CL kit for cars without PCCBs come with replacement discs. Not sure if that is 100% as there was a lot of confusion around this kit even from OPC themselves initially.